Correction: I previously posted a video by KC Lai tagged “K2 Pro” which I thought was from K2 Pro, but according to KC Lai, it is from his modified K1 Pro. If you want to see that video here it is, but it is NOT from K2 Pro. iZugar also launched their MKX200 fisheye lens for Micro Four Thirds, which features very low distortion and no chromatic aberration. Also can’t afford it but can’t wait to see videos from those who can! I spoke to the rep at NAB 2 days ago, he said it will likely be around $6,000. Looking forward to it. Apparently it has 2 Panasonic GH5S micro 4/3 sensors in it. Should be awesome! $6000 wow. 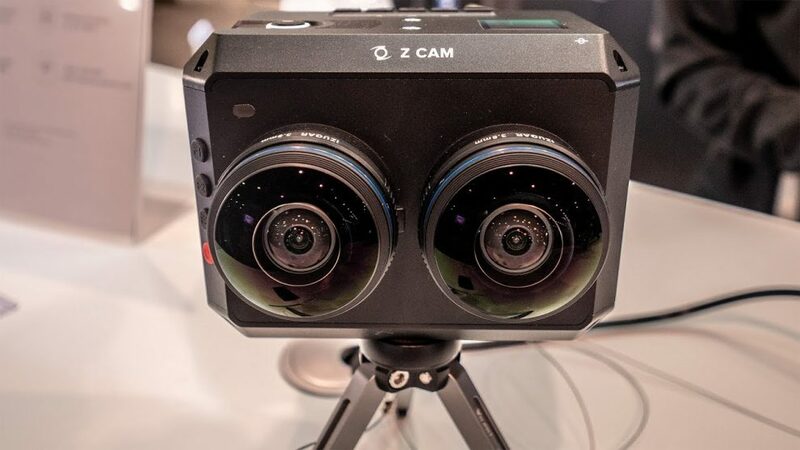 It is made of two E2 cameras that are each $2000, so I thought it would cost maybe $4000 or $5000 at most. Anyway, looking forward to it! So… is this one actually 6K, or is it 5K advertised as “6K” like the K1 was? VR videos are a wider aspect ratio than standard videos, so trying to name them after the width is incredibly dishonest. For example, a 360° 3D SBS video has an aspect ratio of 4:1. A 960p video in that format is laughably worse than “4K” even if it is the same width as a 16:9 4K video. But wait ! Isn’t that exactly the same resolution as what Yi (Horizon), Human Eyes (Vuze XR) and Insta360 (Evo) are calling 5.7K ??? So what we will be getting here is mainly an improvement in IQ due to the larger sensors and better quality lenses… at about fifteen times the cost. There’s gotta be a better more reasonably priced prosumer 3D 180 camera coming up. Look at the Ricoh Z1… It’s got larger sensors, better lenses and yet a one thousand dollar price tag. A 3D 180 version of the Ricoh Z1 should not cost any more. I don’t see that reflected in the price of other 3D 180 cameras. For example, the Evo is no more expensive than the One X and it actually might have been cheaper if they had not incorporated a folding design that complicated production complexity somewhat. And the price for the Horizon was announced as no higher than the 360 VR. As for the 3D 180 market being small, I don’t think that’s so true anymore with the K2 becoming the seventh 3D 180 camera to come on the market and interest in 3D 180 growing steadfastly. Looks to be about the same as that of the K1. As I recall, Hugh Hou had said that the interexial on the K1 was slightly less than that of the Mirage. In the clip on the K2, they mention a “normal” interaxial when comparing to using two E2’s side by side. But compared to the K1, they look pretty much the same.. Nonetheless, I’d be very curious to get an exact measurement both of the K1 and K2 as well as the other 3D 180 cameras. I seem to recall reading that the EVO’s interaxial was closer to 70mm. But that would have to be verified.